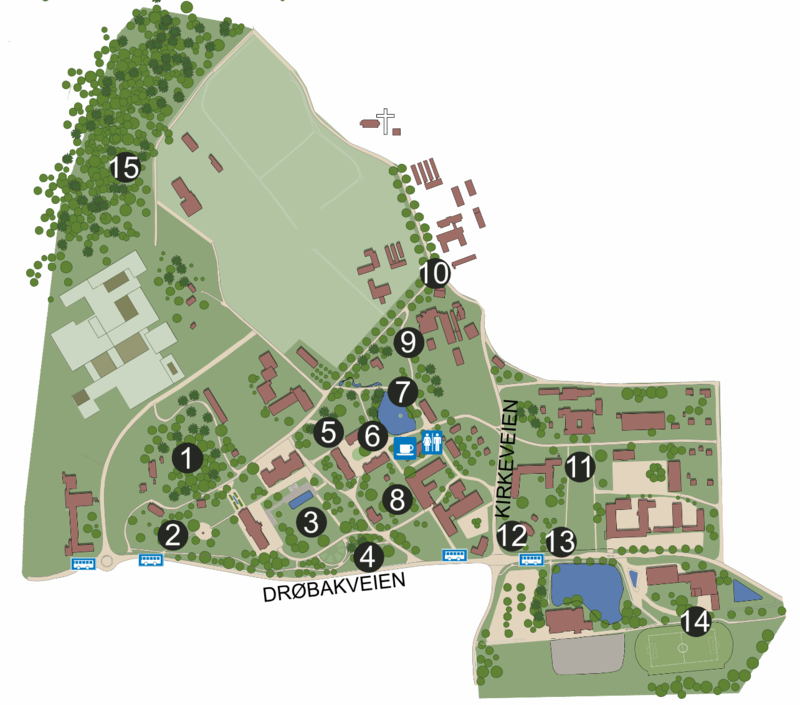 The Norwegian University of Life Sciences, NMBU, at Ås has a unique building environment and a beautiful park, used for recreation as well as for teaching purposes. The park at NMBU is one of the largest and most consistent neoclassical parks in Norway, landscaped in the 1930’s. A walk through the park will also reveal traces from other important periods in the history of garden art, from around 1860, when the oldest parts of the park were established, until today. The park is approximately 500 acres. As early as the 1870’s, an arboretum – a scientific collection of trees and shrubs, was established in the park. Today the park consists of approximately 1100 different species and cultivars of trees and shrubs. In addition, a comprehensive collection of annuals and herbaceous perennials has been developed. The Nordskogen Arboretum is also located on NMBUs property and consists of numerous Norwegian and foreign forest tree species. Are you looking for a specific plant and wonder if and where you can find it in the park or in Nordskogen? In the Park Explorer you can search for plants. You don’t have to fill in all the boxes, just write the plant’s name, scientific or Norwegian common name, and click Search. You can also search for a specific garden area and see which plants you can find there. The Park Explorer NMBU is under development. Photos in the database: NMBU, Jeanette Brun, Ole Billing Hansen.